So we'll stick with flippin Nora (with the emphasis on FLIPPIN - yep you're going to go back there and read it again aren't you with that emphasis.... FLIPPIN Nora), that sums up how I feel quite nicely. I mean, there was no skulking out of the back door for me was there? If you don't know what I'm talking about, you might want to read this post. Because I choose not to follow the fashion band wagon, I was feeling somewhat irrelevant and wondered who on earth could be interested in reading what I had to say. Wrong Donna. On every level. Because it seems that there are so many like-minded women who feel exactly the same way as I do. 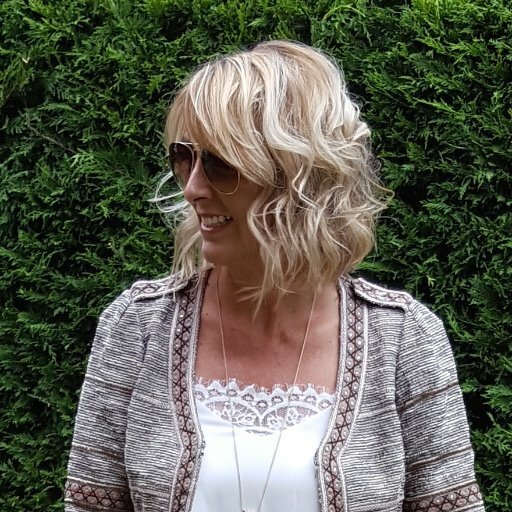 Women who want to enjoy their clothes, may be with a seasonal tweak but generally have a more classic wardrobe that is age appropriate, stylish, easy to wear and comfortable. 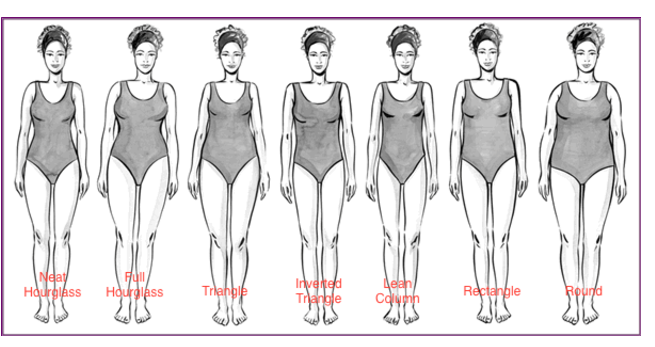 Women who want to discover their best colours, body shape and style personality. I hear you, I really do. So from feeling a little bit down about the whole blogging malarky, I did a complete 360 degree turnaround and feel excited again. Before I go on to talk about the blog, I thought that the following information might be of interest to you. As a blogger, I thought I should be 'in the know' and subsequently subscribed to every bloomin brand going. Who am I kidding? 95% of them were sent directly to trash unopened. What a waste of time. So over the last week, I've been unsubscribing from emails that I don't care for. It's very refreshing. I'm now receiving and opening a small, curated number of emails that I'm genuinely interested in. And you know what? If you don't know that there's a 30% flash sale, you won't care. Nor will you be tempted. What I mean is, stop reading blogs that make you miserable or don't fit in with your style. I've been guilty of following 'inspirational' bloggers, buying in to their style, to the detriment of my own. And I can guarantee that these purchases have remained unworn in my wardrobe. Find bloggers whose style you love and look forward to reading. Ditto above. Only follow those people that make you happy. If someone's posts leave you feeling anxious and irritable, hit that unfollow button. So satisfying. Because that's when you're more likely to buy eg. when you're sat in front of the t.v. in the evening. You don't even have to get up off your bottom to find your purse if a) you have a Paypal account or b) you know your credit card number off by heart (me). Browse when you're waiting for the pasta to cook, you won't have time to purchase and will have forgotten about it after dinner. Mind you turning the gas down to number 1 so it takes 25 minutes to cook is cheating. I've been jumping on Insta much less these days and it makes me far happier. I can't recall purchasing anything on the back of seeing something that I like on Pinterest. It kind of doesn't work like that for me. I use Pinterest for inspiration as opposed to aspiration. You're far less likely to open an app up if you haven't had prior notice that there are 27 likes on Instagram. Be in control of when YOU open the app. It's all about discovering your own style and creating a blueprint wardrobe. I don't mean make an appointment with Sharps Bedrooms for floor to ceiling, slidey door cupboards with knicker compartments and a pull out drawer for dangly earrings. Nothing as drastic as that. But a good spring clean (see the X-Factor post above) and maybe invest in some matching coat hangers. I bought loads of pink and rose gold non-slip hangers from Primark. They cost about £4 a pack. I've had them for about 8 months and they're still going strong although jackets and coats are still hung on wooden ones. This sounds a bit pathetic when it's written down but it actually feels nice when I open my wardrobe (you know what I mean). Little changes will make a big difference to the way you approach social media which in turn will help you stay away from buying rubbish and regretting it a couple of months down the line. - Every post from now on will have an element of either colour or body shape or style. So that may be an article on the latest colour trend and how to incorporate it into your wardrobe or the best style of jeans for your figure or how to work out your own style personality. Basically what I'm saying is that the posts won't be fashion led, they'll be more informative. - I will disclose any paid or sponsored posts and gifted items (no change there then). I've never had a problem with this as I'm proud to work with brands that I love. Still can't quite believe that they actually want to work with me! - Hope you don't mind but I won't 'dis' any items that I've been sent and subsequently don't like. I'd rather send them back and say no thanks. I don't want to criticise a brand that has been kind enough to send something to me. However, if I've bought something and the quality or service isn't great, I'll tell you about that. Is that ok? I did consider removing every affiliate link and advert from the blog and have spent a few days thinking about this. This isn't my job but I do spend a long time researching and writing the posts. I don't earn a vast amount of money from this little venture but yes, I do earn something and it's built up over the years to more than a hobby. I'd be a bit daft to say no wouldn't I? So in the end, I thought it would be really useful for you as a reader to know exactly where the money comes from. This is when a brand agrees to pay me a certain amount of money for the publication and promotion of a blog post. So for example in the recent bridal post that I published, Kaleidoscope paid me to review the dresses. And this is how I disclosed this fact. It was tagged on to the end of the post in the same sized font as the main body. If you would prefer to know before you start reading, let me know and I'll shift it to the top. By the way, as if I got paid to dress up, I loved every bloomin minute! It's still a little woolly as to whether or not these should be disclosed because often they're sent without obligation. So for example, I received an email today asking if a brand could send me a pair of shoes as a gift. They're not expecting anything in return and if I mention them, that's a bonus. If I love the shoes, I will tell you about them. If I don't, they will be returned. And this is the way I've always disclosed gifted items and will continue to do so. 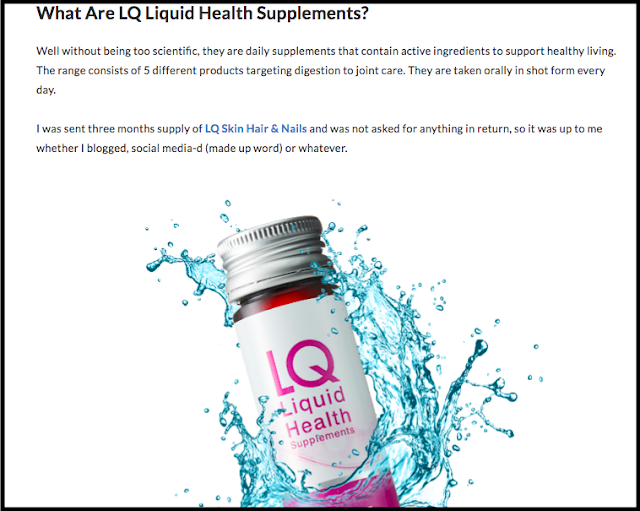 The LQ Liquid Health Supplements were sent to me as a gift without obligation and this is how I disclosed them in this post. So this is slightly different. A brand may send something and request a review. I've never, ever been asked to include certain phrases. They've always been my own words and a brand has never asked me to change anything other than maybe a link to say, their homepage which is all good by me. Reading back, I've probably not been clear as to when something has been gifted or sent with an agreement to review. I've always kind of assumed that they amount to the same thing. But, I'll address this from now on. This one was disclosed transparently. An affiliate link is a link to a website that has been encoded with a tracking cookie. Eh? Speak English woman. Basically, it means that if you click on one of these 'special' links, the brand will pay me a commission if you make a purchase from them. So let's say that you want to buy a pair of jeans that you've seen on my blog and you click on the link, and go on to buy these and maybe chuck in a jumper as well, I will get a small amount of commission on both items because I 'originated' the sale. Cookies are deposited on your computer for 30 days and if you buy anything else eg. a designer bag from the same company (yes please, please do), I will receive commission on that as well, providing you haven't clicked on another affiliate link by another blogger at a later day. Darn it, they'll get the designer bag commission. This doesn't cost you any extra. It means that the profit that the retailer makes is less than they would have got had you clicked an organic link or walked in to a shop to purchase the jeans, jumper and designer bag. So the link to Free People is an affiliate link. Although you wouldn't know it from this. 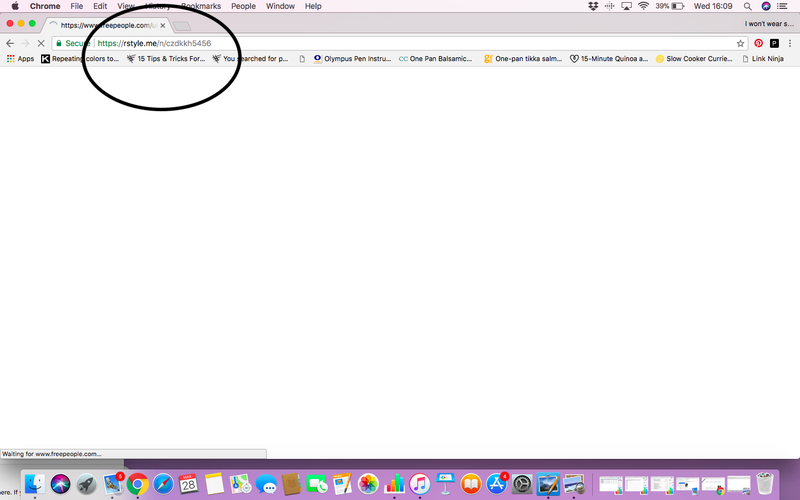 You would need to look at your web browser address bar to check. Here you can see that you are being redirected through to a third party site, RewardStyle (rstyle) before landing on the Free People website. This is the company that arranges for the commission to be paid to me by the brand. I've always explained this under the heading 'The Legal Bit' in my menu at the top of the blog and have just taken the time to re-read it. Phew, nothing needed changing. Nb. not all of my links are affiliates as many smaller brands and some larger brands don't work with Reward Style eg. Winser London but I include them because of course, I love them. I think I'm right in saying that Zara doesn't work with any affiliate companies. There's a little section that runs down the side of my blog that I sometimes update. I say sometimes because if I'm perfectly honest, I forget about it / can't be arsed to update (cross out whichever you feel applies). So as well as my 'useful' posts on colour, style personality and body shape that I often refer to, there's also a little box with outfit transformers. As you can see it's not current (my bad). These do contact affiliate links. And they're always affiliate links, not because I'm a greedy woman who wants to squeeze every last penny out of you, but because I use RewardStyle to build the little slide show and by default, I can only use brands that they have an association with. I do get a bit cross about that because sometimes I have to exclude an item as the brand isn't affiliated to them. You may have also noticed ads eg. Boden running down the right hand side too. I don't tend to overload on these as I forget to delete them when for example a promotion has finished. Yep it's all manually powered by yours truly. I may well get rid of them entirely because a flashing sale banner is an enabler. Leave that one with me. I don't actually see these as I'm always logged on to Blogger which must prevent me from viewing them but if you're reading a post, you may see a random ad pop up in the middle. I've always kept these to a minimum. They're powered by AdSense and I receive peanuts, sorry, slip of the keyboard there, I meant pennies, for every click through. They promise to keep the ads in line with the blog, and I'm able to choose a specialist area so fashion for example. If you ever see an ad for a camper van or purple broccoli, let me know because they shouldn't be there! I resisted this for such a long time both from a blogger and a consumer point of view. But my contact at RewardStyle persuaded me to give it a go and actually, I really like it. In fact, I use it more as a consumer than a blogger. So what is it? Well, it allows you to shop posts on Instagram (no no hang on, I'm not enabling, well ok just a little). As a blogger, I would use an App on my phone to create an Instagram post where I can link everything that I'm wearing and include alternatives if say something is sold out or I want to provide different price points. This is then posted to Instagram. It looks like a normal post other than that little black heart in the bottom right hand corner of the photo. The heart denotes that it's a shoppable post through LiketoKnow.it and I normally mention something in the blurb as well. As you can see, I've linked the actual dress and bag and suggested a couple of alternatives for the boots. It's like a blog post without words!!! My husband said "well that's only a good thing if it means you're not wittering on." Charming! Click on any of the pictures and they will take you directly to the website. I receive commission on any purchases that you make. I'm sure the site explains it far better than me (here). And I think that's it as far as disclosure is concerned. I hope you found it insightful! So here's to a new improved I Won't Wear Sludge Brown. I'm not going to change the name mainly because it's a ball-ache. And a few of you suggested coming off social media platforms which I would dearly love to do. Problem is, I look after an account for a brand so that would be a bit awks. And, Instagram, Facebook and Twitter all drive traffic to the blog so it would be a case of cutting off my nose to spite my face. But I would like to ask one thing of you as we move forward though. If you like/love a post could you let me know (a simple like over on Bloglovin would be fantastic, it's a quick click of a button). It will give me some guidance as to what is being well received or a complete damp squid. 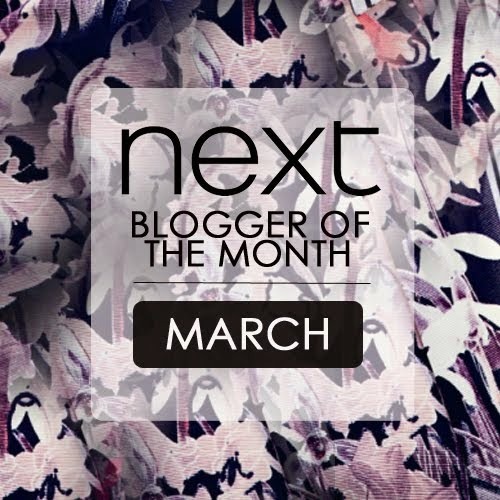 If you don't use Bloglovin, maybe a quick comment on the actual post, or social media channel. I'm happy to receive constructive criticism too! And I'd love for you to chip in too; your latest finds or if you have any tips for dressing your own body shape for example. Alternatively, if there's anything you would love me to cover, give us a shout. Thank you so much and thanks for still being here and wanting to read the blog. 28 comments on "A Mega Long Post About Social Media (Instagram), Fast Fashion, The Blog & Transparency"
Hurray! So glad to see you are still here, Donna. Great to see clarification of sponsorship and promotions but mostly I'm relieved that your blog will continue. Your plans sound spot on. A really interesting and informative post, Donna, so pleased you are feeling much more positive now and I look forward to reading your future posts! 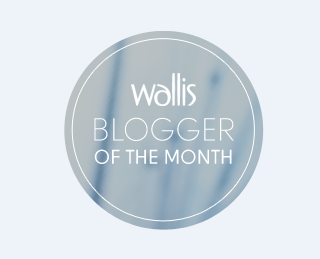 Yours is a fab blog, we need you, and the work you put into it is really appreciated. Hi, I commented for the first time ever on your last post, it’s becoming a habit. I wanted to say that it was useful info about the different types of payment and gifts. I would say that I personally would like to see the disclosure st the beginning of the post. All the things you say you are going to include in your blog sound great to me, and I for one will keep reading. Well done Donna. You are talking my philosophy. I've never had affiliate links or adverts on my blog and am staying that way. My blog is about utilising the wardrobe with the odd addition for longevity or cheap fashion item to update it. It reflects my values. Style isn't about shopping . 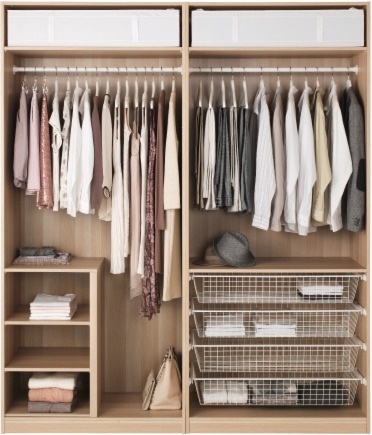 It's about how to put things together and that doesn't require shopping . However I do point out where to get similar items so as my look can be replicated. Fascinating couple of posts. I totally get why you have been rethinking what you do. I have been on Instagram for a year (@debcyork) and seem to have become more and more hooked on the fashion side, when really I started it as a link to my own blog which is more current affairs! Now I have become disillusioned with my own blog, feeling no-one reads it when I had actually been doing quite well. I am being 'influenced' clearly. I totally support everyone's right to do what they like on social media as long as it is not hurting anyone else. But the deluge of posts from certain over exposed people is beginning to really annoy me. I think you have struck a real blow for independence here. Thank you for staying! Glad you aren't going anywhere! Love your blog - must say I don't really care about sponsorships, payments etc wouldn't expect you not to make something out of all the time you must take over each post. 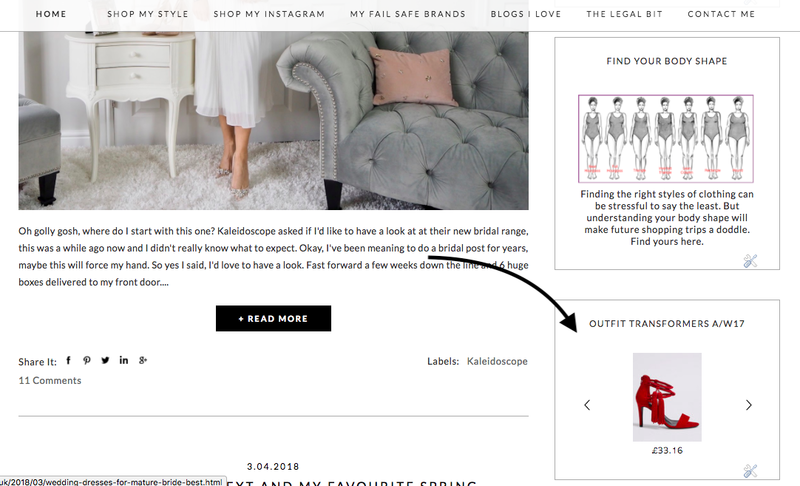 I only follow a couple of bloggers that are relevant to me, help me to style clothes I already own and to update rather than always feeling that I have to buy new clothes (don't need any help in being tempted :)). The main things I like about your posts are mention of body shapes and colours (cool summer). Keep going and I will keep reading! Glad to see you writing again so soon! I think you may regret asking us all to comment though...this is my second in a few days, never having done it before in my life! Anyway, I know this isn't very exciting, but would you consider a post on decent white/ivory t-shirts? My summer uniform seems to be these (plus grey) and I am fed with cheap (and expensive) ones that twist, or are so see through that you have to wear a camisole underneath (what is the good of that?). I know Winser London have a linen one for £79, but this is a bit steep when you need several, and I love the Maison Labiche ones at £54, but they don't do a completely plain one. 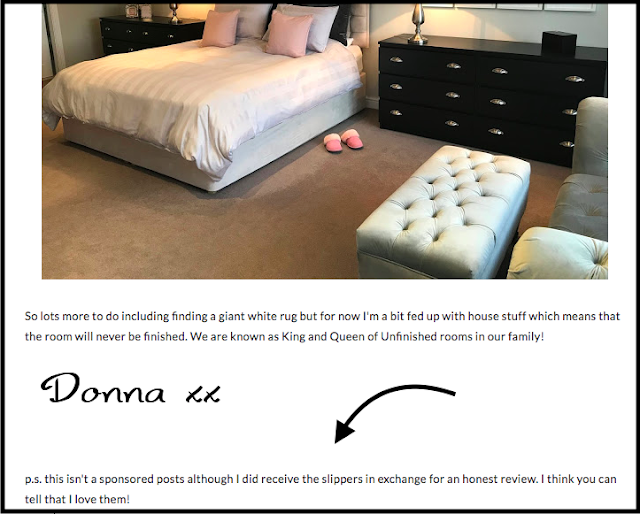 Very glad that you are feeling much more positive about your blog and spot on Donna about being all about style not shopping - exactly what readers want! . 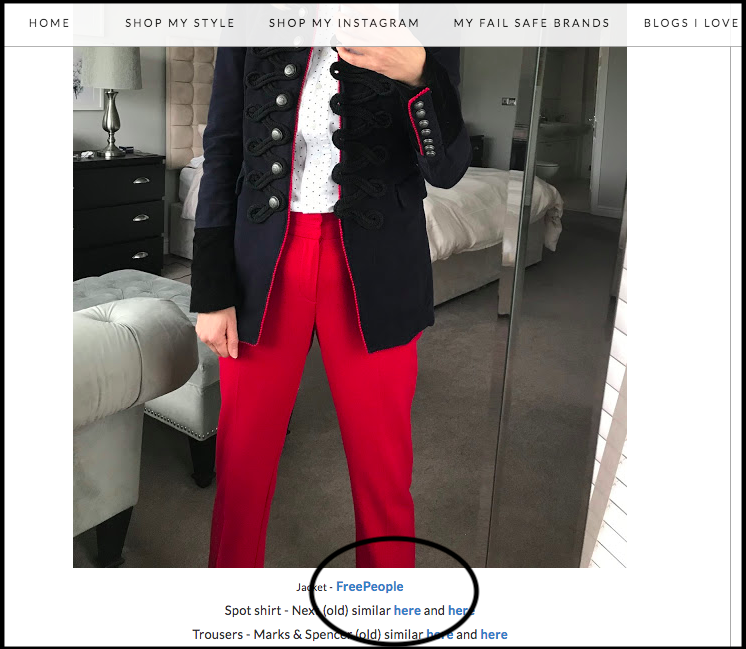 does rather make me think that the world of influencers have allowed the retailers to control their content - sadly they are now just becoming conduits for the retailers - so many I just scroll past now. Very glad you will continue and really clear outline here - fab! I'm so happy you're inspired and happy again! Can't wait to learn more about shapes and colour. Whew, thank goodness you're still here, I was a little worried. I love the direction you want to take things in, and that you're feeling inspired and excited about it. Very glad you've decided to carry on! 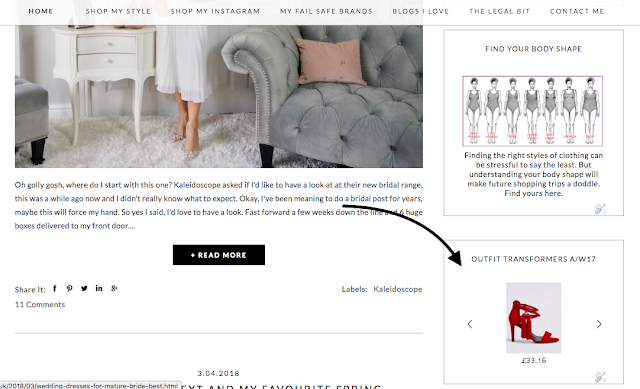 I follow a number of blogs but yours and blog and MidlifeChic are my favourites because both of you offer thoughtful commentary of the latest trends - with a view to making them work for you, not fashion at any price. You (both) come across as very "real" which I think is what really makes what you write relatable. Would there be any chance of a post on flat shoes/boots/sandals and how to style them? I seem to have lost the ability to wear heels all the time that I had when I was younger but struggle to style flat footwear in a way that works for my (rather boring, sort of city chic/classic) style, so any tips would be welcome! Donna, so glad you are continuing. I have stopped looking at other bloggers as many only suggest clothing that suits their body shape, often at extortionate prices. I have been an idiot by trying to copy their style which never works and which has cost me an awful lot of money - and I consider myself to be an intelligent lady! I have vowed to stop reading them apart from yourself and Midlife Chic as you both give sensible, often affordable advice. What I like particularly like about your blog is that you demonstrate an item of clothing on yourself and then suggest alternatives for different body shapes.